What Does That YouTube Button Do? According to sources, one of these buttons has been on YouTube videos for maybe 18 months, and I never clicked it, can you guess? That one on the right, looks like a menu? Quick quiz, what does it do? I’ve seen it for a while and shamefully never clicked. It’s “Interactive Transcripts”- for a while YouTube has been automatically adding machine transcription to videos, meaning it is guessing at a transcript. Often, it is horrible, but as we see below, you can correct it. Why do it? 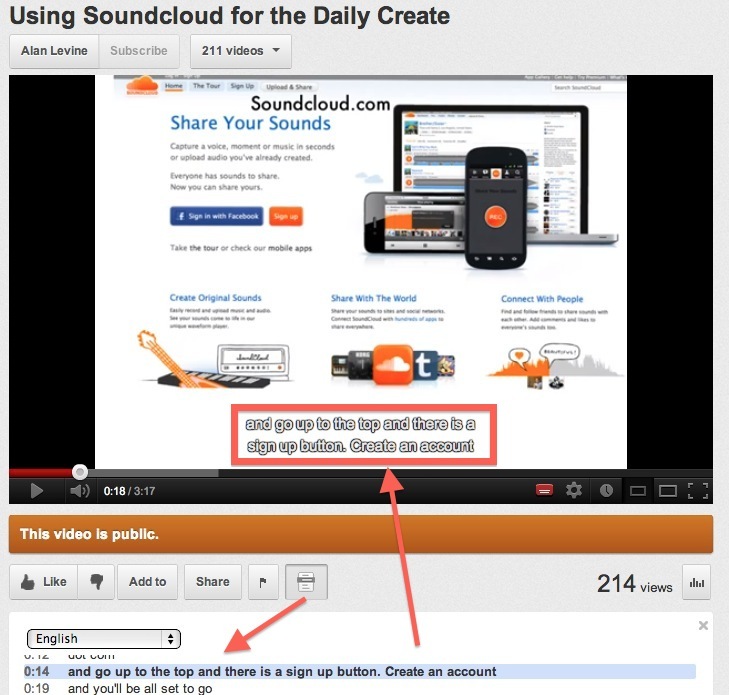 For one thing, it allows your videos to be captioned, meaning you improve accessibility for the hearing impaired. But, wait, there is more. 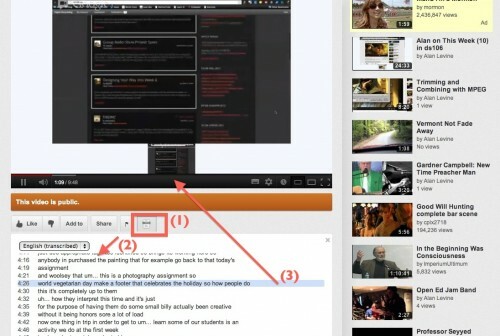 It provides navigation within videos! Maybe it is just me, but that seems pretty damned useful! I cannot recall the video exactly, but a lot of the transcription is pretty crappy (or humorous). So you get the interactive transcript for navigating anywhere in the video AND closed captioning. It’s a thing we need to do more often with our videos, and YouTube’s editor makes it pretty easy to get both gains. 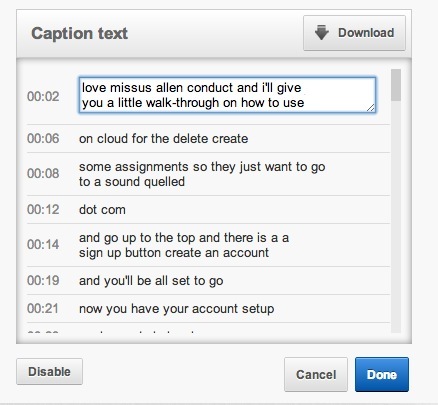 Oh, and I am already brewing a new ds106 assignment that would involving telling a different story via the captioning.